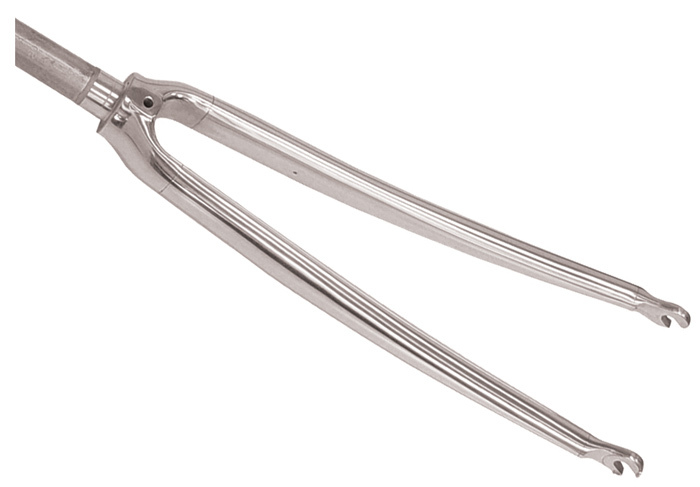 Aluminium fork with steel steerer 1 1/8" for threadless head sets. For integrated head set frames. Brake drilling for standard racing brakes, steerer length 300 mm. Curved blades silver anodised, polished, aluminium drop outs. 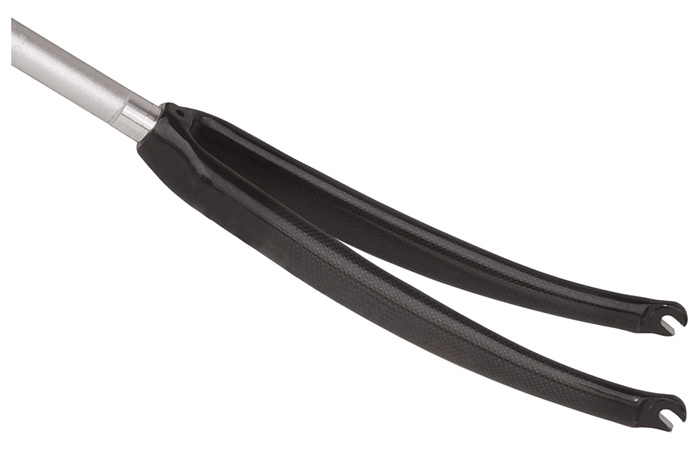 Carbon fork with aluminium steerer 1" for threadless head sets. 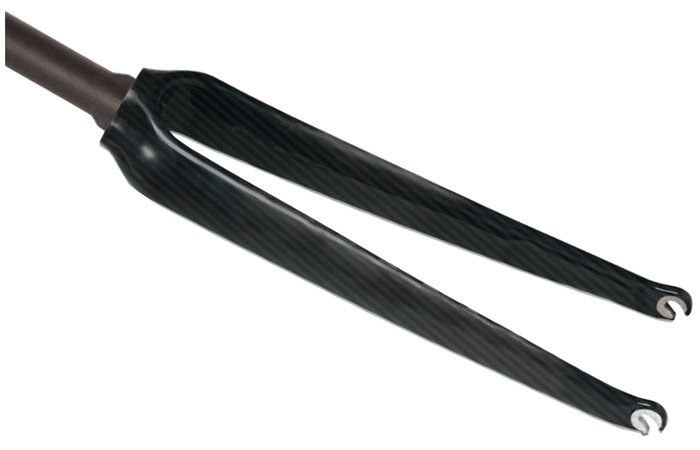 For conventional head set frames with brake drilling for standard racing brakes. Curved blades with aluminium drop outs. Carbon fork with aluminium steerer 1 1/8" for threadless head sets. Steerer length 350 mm, brake drilling for standard racing brakes. 3 K carbon weave full carbon fork for threadless integrated head sets. 1 1/8" to 1 1/4" steerer 300 mm length. Straight blades, aluminium drop outs, crown drilled for standard racing brakes. 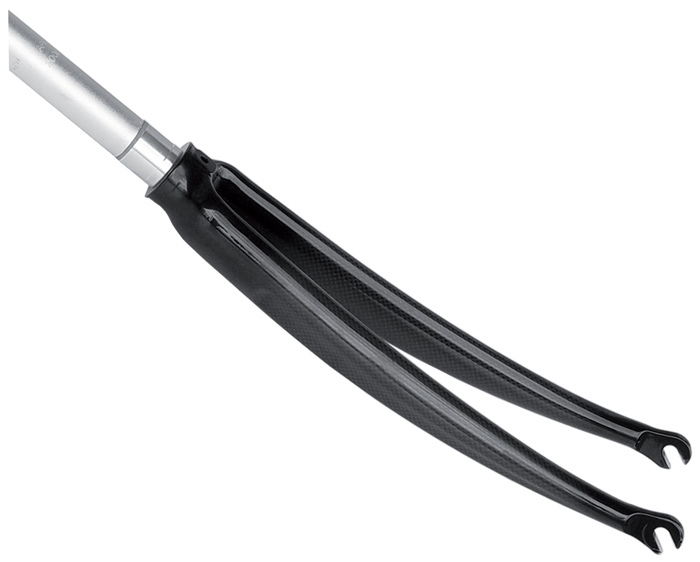 Steel fork with investment cast crown and mudguard eyes. Steerer size 1" Ahead (threadless), length 330 mm. To be used with 700C size wheels and deep drop caliper brakes. Finish: powder coat black: stock item.